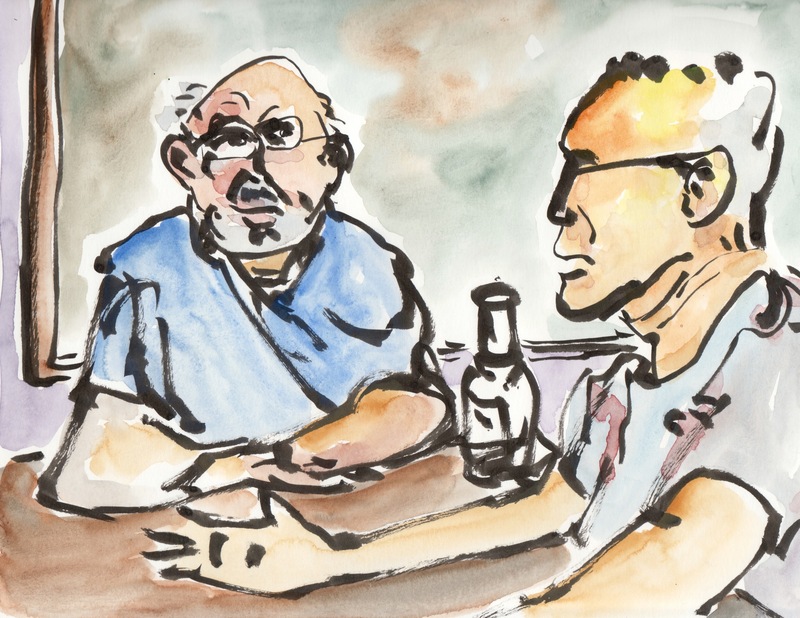 So much of what passes for conversation is often not much more than predictable exchanges, pleasant but not the type of interaction that deepens understanding or advances learning. It is wonderful when two lifelong friends get together and really talk. I think I can see this in the way they both lean into the table, both have relaxed posture and neither have polite smiles. The open hand suggests lack of pretense but an attempt to clarify thought. I used a brush pen and watercolor. This entry was posted in Body Language, Deliberate Practice, Groups Interacting, People Learning and tagged Exaggeration. Bookmark the permalink.